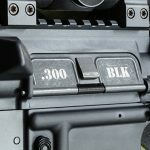 While the YHM-8030 was originally built for personal defense in close quarters, its 300 Blackout power can drop a deer, as the author proved last December. 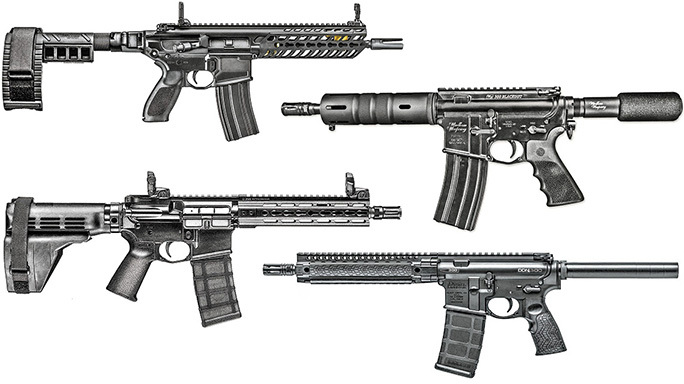 AR pistols have grown in popularity over the past few years, and the advent of stabilizing braces has added fuel to their sales numbers. 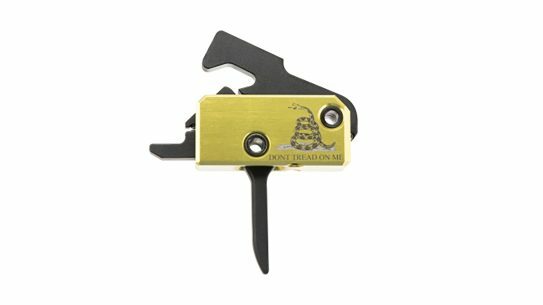 One thing I’ve noticed is that manufacturers are pretty determined to market them as personal-defense weapons (PDWs). 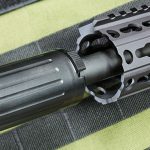 Yankee Hill Machine (YHM) recently upped the ante when it added a 300 Blackout pistol to its lineup, which would make for an ideal PDW. 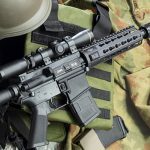 I’ll agree that this 300 Blackout AR pistol is a wicked defensive arm, but I’ve found another use around the farm. 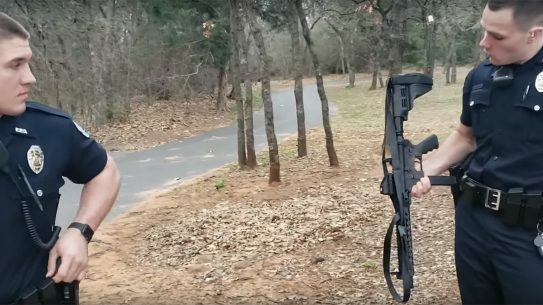 I typically haul an AR around to zap varmints, and this compact rig is handy to maneuver with in tight quarters. 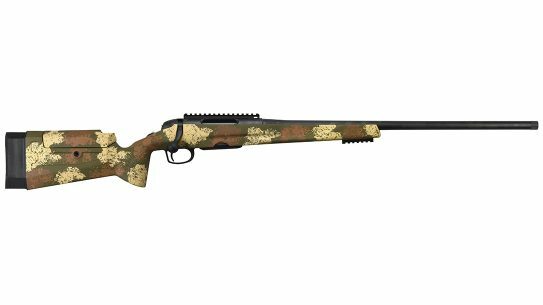 I also consider it capable of downing a whitetail if given the opportunity. After watching two mature bucks feed in a rye field near my house in early September of 2016, I anticipated a good hunting season. Retired Colonel Jerry Wood, my best friend from high school, flew in from D.C. for the muzzleloader opener. He passed on several bucks over three days of hunting and finally connected on a 16-inch-wide eight-pointer on the last evening, but two monster bucks eluded us. Now keep in mind, once deer season opens, I am always hunting. I basically live in a very nice deer stand for weeks at a time. 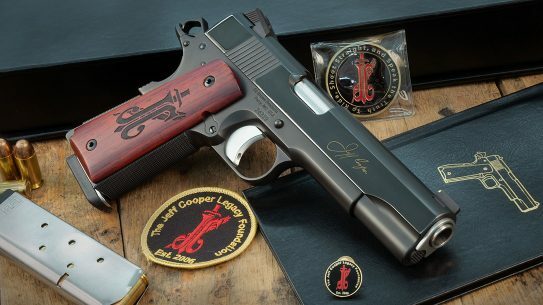 And if I’m working on the farm, I have a weapon within reach. I continued to hunt for the mature bucks, but one didn’t show up until the pre-dawn light of November 18. Standing with a steaming mug of coffee in one hand and binoculars pressed against my eyes with the other, I had to settle for just watching the buck from a distance. Commitments that morning prevented me from reaching for a gun. A few days later, I got a call. A woods fire was raging on the farm between mine and my brother-in-law’s while I was in town. It was dropping hot embers on his house, and I had a piece of farm equipment with a dead battery that was in the path of the fire. Driving into the smoke, I parked as close as possible to talk to a couple of the 30 or so firemen fighting the blaze. Skirting the fire line, I walked through a mature cedar grove and couldn’t help but gawk at a huge, fresh rub on a hardwood tree as I walked past. I committed it to memory and had another piece of the puzzle to figuring out a cagy old buck’s pattern. A couple of days later, the high winds rekindled some smoldering trees. A 25-mph wind blowing directly toward my house made it imperative that I douse the flames before they raced across a dry hayfield and consumed my house. I brought my tractor back to help push burning logs and drove along the break that a Tennessee Division of Forestry dozer operator had cut around the fire. I passed a dry pond on the corner of my neighbor’s farm that was cut with deer trails through briars, blackberry and honeysuckle. I committed that to memory, too, and nailed down the buck’s travel route between my farm and my brother-in-law’s farm a little more than a quarter-mile distant. A few days later in early December, I had to haul hay to my brother-in-law’s cows with my tractor in a pasture less than 100 yards from where I was finding all of the big buck signs. 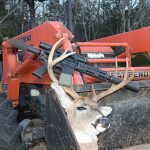 I felt it prudent to take a weapon, so I grabbed the 300 Blackout YHM pistol and strapped it into the tractor’s cab. Riding across our farms, I saw several does at the end of a field road on Jim’s place. As I got closer, I looked through the overgrown fence row and spied a huge buck. I slowed to a stop and grabbed the YHM AR pistol. I found the deer in the scope and shifted to avoid hitting a limb in the thick foliage between us. When the crosshairs landed on his vitals, I broke the shot. He “horse kicked,” signaling a heart shot. Finished with my chore of feeding a hungry herd of Angus cows, I went to find the buck in the failing light. At the shot, the buck had run 50 yards and disappeared into the dry pond thicket. After climbing on the dry pond dam, I looked down from my higher vantage point and spied the buck lying dead on a trail cut through briers and honeysuckle. The 236-pound buck sported a wide 18-inch rack with nine points and was aged at 5.5 years old. 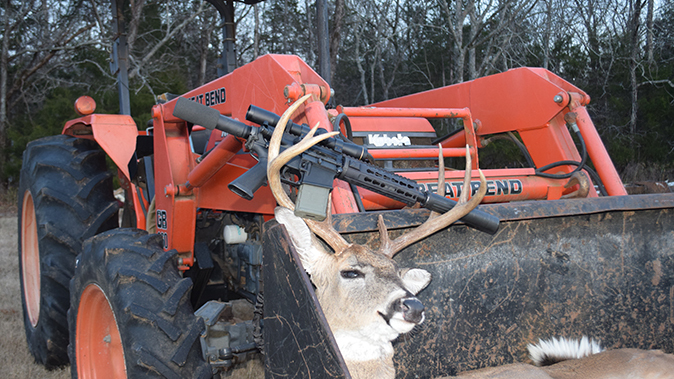 The Barnes 110-grain TAC-TX load did its job and wrecked the buck’s heart and lungs. 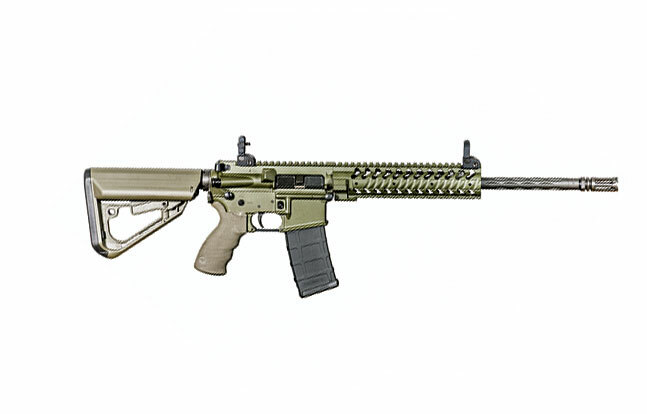 This particular weapon, the YHM-8030, was built upon a forged 7075-T6 aluminum lower receiver with a matching A3-style flattop upper. 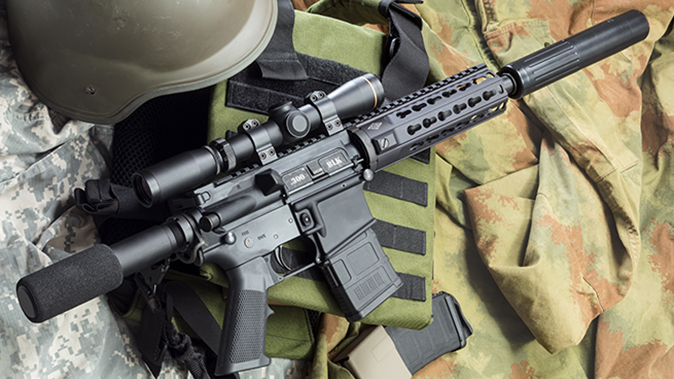 The 9.1-inch barrel was made from 4140 steel with a 1-in-8-inch twist rate and M4 feed ramps. 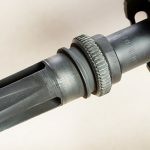 The barrel is also treated with a Melonite QPQ finish to help resist corrosion. 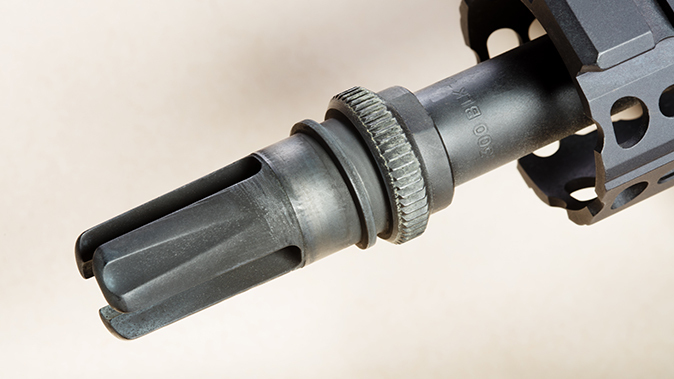 The muzzle has 5/8×24-tpi threading and comes tipped with YHM’s Phantom flash suppressor. 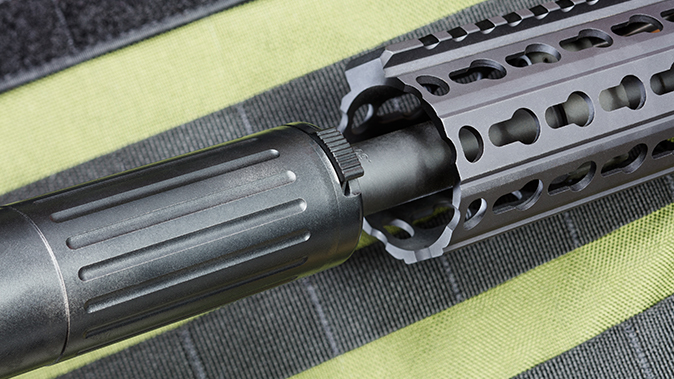 YHM’s carbine-length KR7 KeyMod handguard surrounds the barrel and pistol-length gas system. 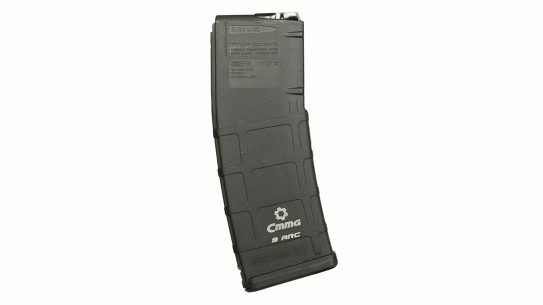 It mates up securely with the upper receiver, offers plenty of space for accessories and helps protect your hand from a hot barrel. 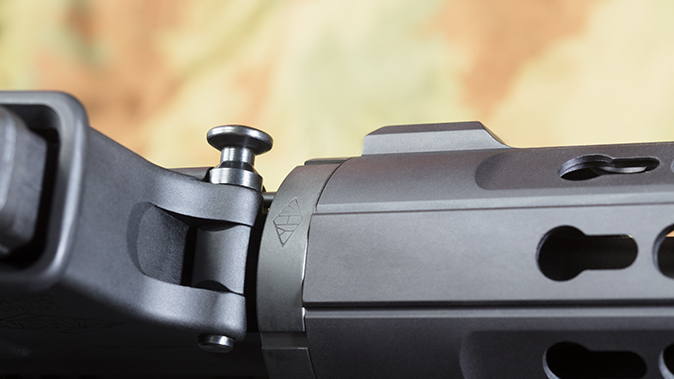 The receivers are held together with YHM’s patented E-Z Pull takedown pins for easy disassembly. 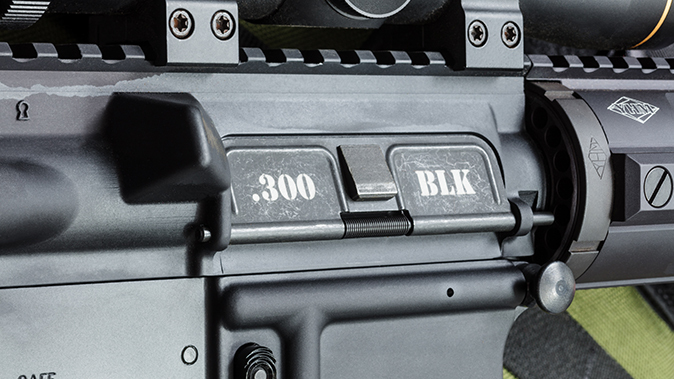 The lower itself has traditional AR controls and a standard A2-style polymer grip. 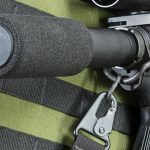 Eschewing the addition of a newfangled forearm brace, YHM elected to simply add a padded sleeve to the lower receiver extension. All together, the gun weighs 5.4 pounds unloaded. 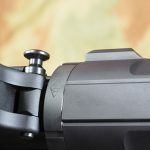 I decided to put the YHM-8030 through a more rigorous accuracy test than most handguns I review. 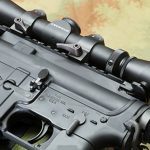 I mounted a Leupold 1-4X long-eye-relief scope in a set of Warne QD rings and affixed it to the top Picatinny rail. 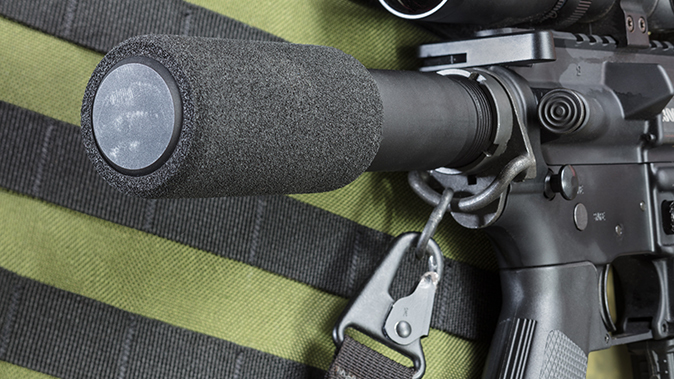 To tame the supersonic loads and make subsonics do their intended job, I attached an Advanced Armament Corporation (AAC) 762-SDN-6 sound suppressor in a QD mount. I set targets at 100 yards and used a rock-solid bench for support. 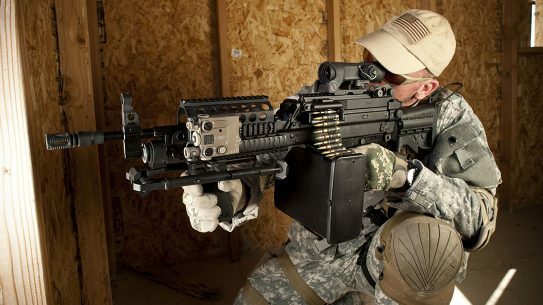 By resting the forward handguard on a Bulls Bag and stacking smaller sandbags to rest the lower receiver extension, it was possible to hold this weapon very securely. 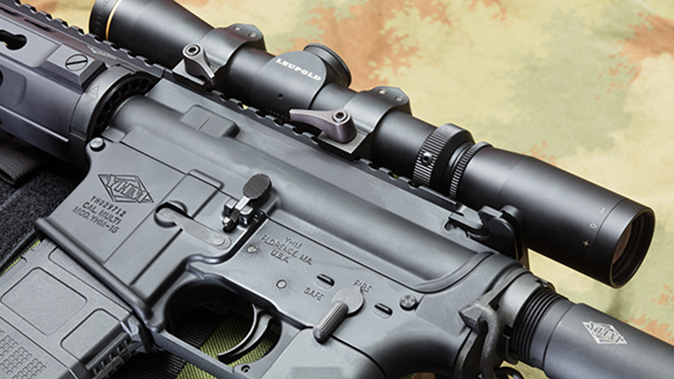 An Oehler 35P chronograph was set up to gather velocity data 15 feet from the muzzle. Five-shot groups were the primary data source, with a few loads getting 10-shot groups thrown in for fun. 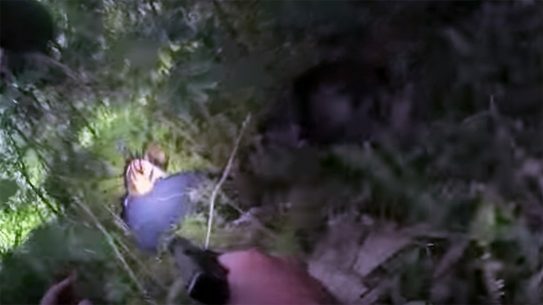 At least three 5-shot groups were fired with each of the loads. 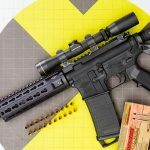 Although some might say that 100 yards is a bit far for testing a pistol, just cut the groups down proportionately to the range and you’ll get an idea of the rig’s accuracy potential. 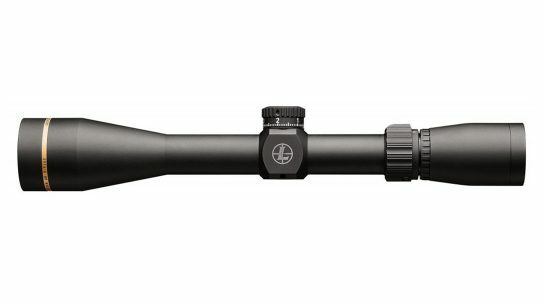 Hornady’s subsonic 208-grain A-MAX load averaged 966 fps with a standard deviation of 36 fps. The extreme spread ranged from 866 to 1,016 fps. The smallest five-shot group measured 3.2 inches, while the best 10-shot group measured 4.89 inches. Another subsonic load, Sig Sauer’s 220-grain OTM ammo averaged 991 fps with an 11-fps standard deviation. The extreme spread ranged from 980 to 1,012 fps, and this load’s smallest five-shot group measured 1.99 inches. The final subsonic load, Remington 220-grainers, averaged 1,002 fps with an extreme spread of 28 fps and a standard deviation of 11 fps. The smallest five-shot group with this load measured 2.1 inches. 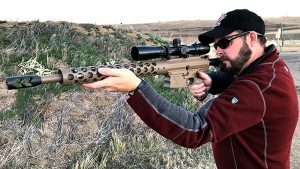 Using the same point of aim as the smallest five-shot group, five more rounds opened up a 10-shot group to 5.16 inches. Next came the supersonic loads. 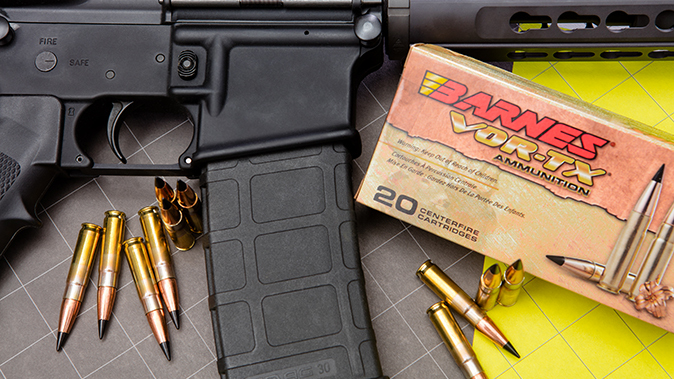 Barnes’ 110-grain TAC-TX ammo averaged 2,154 fps with a standard deviation of 16 fps. The extreme spread ranged from 2,134 to 2,175 fps. The standard deviation wasn’t that great, but this load had a hard time keeping five-shot groups together. Every five-shot group clustered four rounds at 2 inches or less, with one obvious flyer. This caused the best group to measure 3.89 inches. 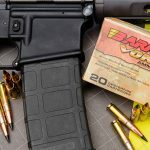 Hornady’s 110-grain GMX load averaged 2,148 fps, and its extreme spread of 44 fps calculates to a standard deviation of 14 fps for 10 shots. The smallest five-shot group measured 1.83 inches. The next Hornady load, 125-grain American Gunner HPs, averaged 2,018 fps with a standard deviation of 21 fps. The extreme spread was 59 fps. This was another good load for this weapon. The smallest five-shot group measured 1.44 inches. 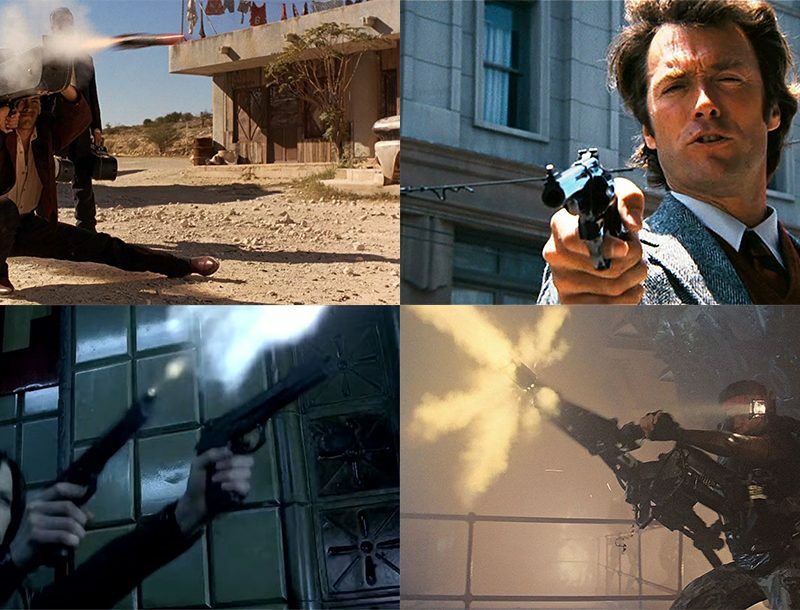 Ten-shot groups opened up substantially, owing to a single flyer each time. With the exception of the single flyer that would open up the group to more than 5 inches, the other nine rounds would stay under 2 inches. Hornady’s 110-grain V-MAX rounds averaged 2,137 fps and produced a standard deviation of 23 fps. The extreme spread ranged from 2,107 to 2,184 fps. This weapon really seemed to like this load—a lot. The best five-shot group measured 1.45 inches, and the best 10-shot group was 1.62 inches. The other groups with this load, both five- and 10-shot strings, all stayed under 2 inches. 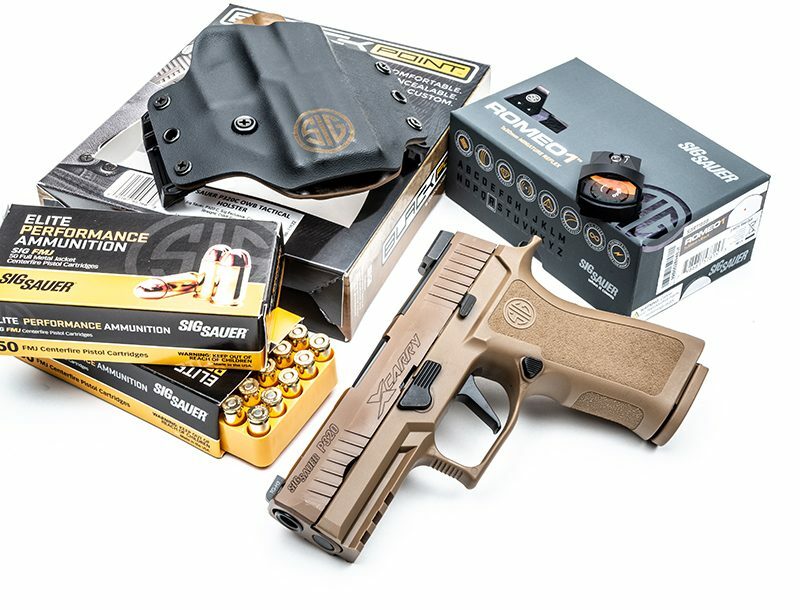 Sig Sauer’s 120-grain HT load averaged 2,169 fps with a standard deviation of 20 fps. The extreme spread was 74 fps. 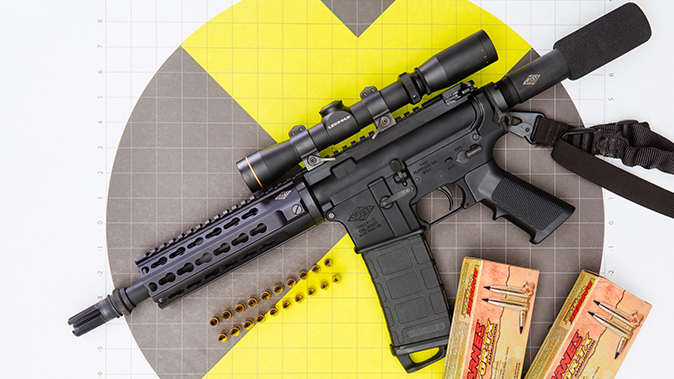 The best five-shot group for this ammo measured 1.54 inches. 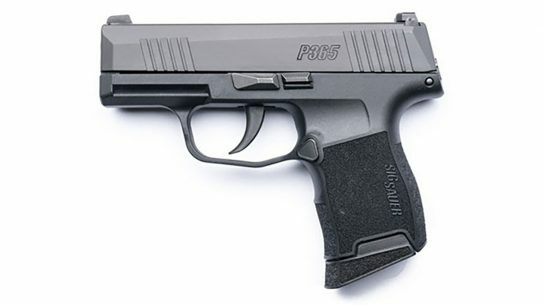 Sig’s supersonic 125-grain OTMs averaged 1,925 fps with a standard deviation of 30 fps. The extreme spread was 75 fps. The best five-shot group here measured 1.78 inches. 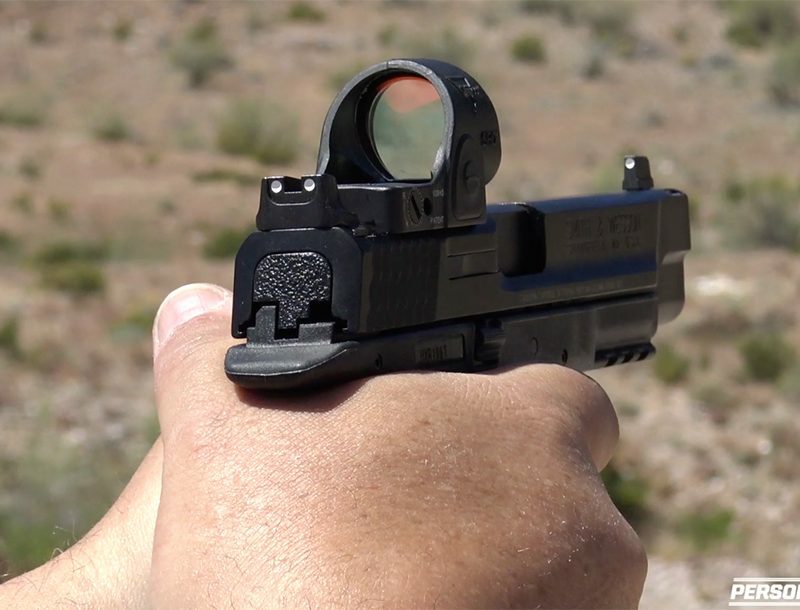 The YHM-8030 pistol performed very well at 100 yards considering its size and configuration. 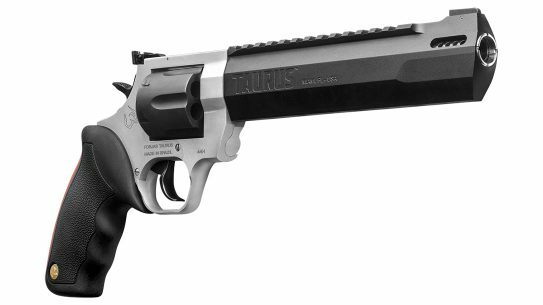 I have no doubt that it’d produce even better groups at shorter, more realistic distances for a pistol. 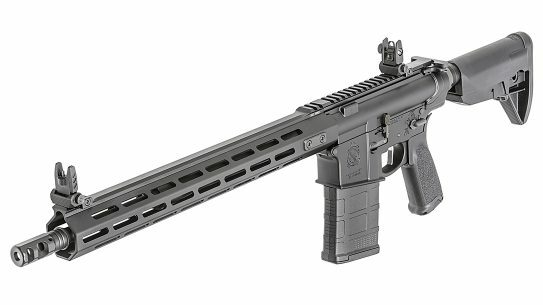 So, if you’re looking for a PDW to protect your castle or want a handy truck gun to patrol the back 40, the YHM-8030 is a great gun that scores high marks. 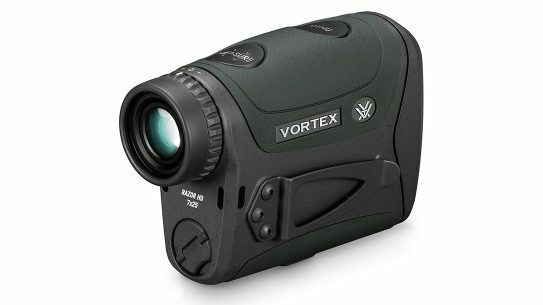 *Bullet weight measured in grains, velocity in fps by chronograph and accuracy in inches for best five-shot groups at 100 yards. 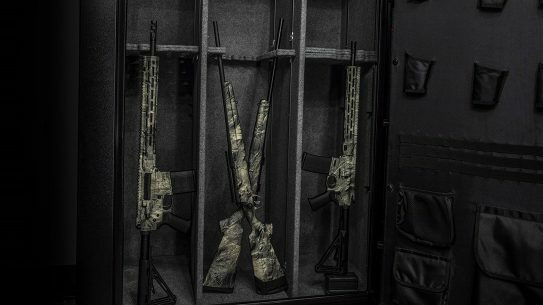 Colorado-based outfit Phoenix Weaponry has launched a unique-as-hell .45-70 Auto rifle round and platform.